The instrumentation throughout is often minimal and beautifully organic, with subtle and cleverly placed touches of electronics that emphasise a human vs machine theme. The opening title track is the prime example of this concept, its slow pulse and soft piano playing a forlorn accompaniment to lyrics concerned with the barriers and social setbacks caused by technology, as well as the fear that over engagement with our digital devices may eventually erode our sense of humanity. Musically it follows on from Blur’s ‘Under The Westway’, sparkling with a soulful, melancholic quality that Albarn has made his own. During the ghostly ‘Hostiles’ he paints beautifully vivid pictures with his lyrics over acoustic guitar, playground sounds, strange percussive knocks and the sombre twinkle of keys, generating an ambience that brings to mind slowly rolling rolls of old film. On the deliciously laid back ‘Lonely Press Play’, we find looped rattles of percussion all hanging together in an elegantly loose arrangement. On the surface it could initially sound like some sort of testament to the healing power of music, but it is in fact a musing on (as Damon recently explained) “how much we gravitate with our thumb and our index finger to that little triangle pointing to the right” and how it has “become part of the human condition.” In the bright shuffle of ‘Mr Tembo’ we get a joyous ode to a Tanzanian elephant, musically resembling an African-flavoured echo of The Clash. There’s even a surprising, deadpan, London-tinged half-rap. On the surface it doesn’t seem to fit in with the rest of the otherwise downbeat album, but look a little deeper into the context of ‘Everyday Robots’ and you find a reminder of the simple joy of nature, something perhaps being neglected in the digital age. The fact that its subject is part of an endangered species coming close to extinction also embeds a hidden poignancy. Definitely more in the direction of the Gorillaz material, the pretty and mechanical segue ‘Parakeet’ leads us to ‘The Selfish Giant’, where ominous chords open up into something sadder. The bleak tick of sparse electro percussion and a classic Albarn melody perfectly coordinate with themes of separation as tender, downcast tones reach straight for the heart. It’s definitely a set of songs that grow slowly over a few listens, revealing more about itself each time rather than hitting the spot instantly. 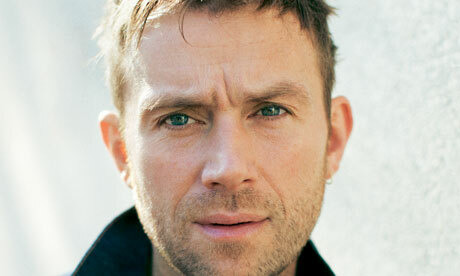 The wonderfully constructed two part centrepiece ‘You And Me’ is the prime example of this, as the middle part of the LP enters into the album’s other theme: Albarn’s life. Initially it’s as dark and brutally honest as it gets, casting a sense of cold squalor and bleakly portraying his heroin habit during the mid 90s which has been untold of until recently, grimly intoning the line “tin foil and a lighter, the ship across. Five days on, two days off…” But aside from ear catching confessions such as these, he doesn’t reveal too much and still likes to leave certain things open to interpretation. The cooly radiant second half mellows things out considerably, and remarkably fits together with the first part in such an effortless fashion. By the end, the light has started to shine in. A wonderful and intelligently constructed centrepiece. The eerie recollection of ‘Hollow Ponds’ continues to revisit the ghosts of Albarn’s past, the irrepressibly haunting music aching with a despondent intensity and delivering some brilliant percussion during the outro. Following the pretty interlude ‘Seven’, the smartly minimalist daydream of ‘Photographs (You Are Taking Now)’ questions how we’re supposed to enjoy special moments in life when we’re too pre-occupied with capturing them on our phones and cameras. A truly captivating vocal on the beautifully arranged ‘History Of A Cheating Heart’ adds genuine emotional clout to a heartbreaking moment of stunning acoustic reflection, before the uplifting and irresistibly soulful ‘Heavy Seas Of Love’ closes the LP, blessed with a magnificently emotive Albarn vocal which is countered nicely by Brian Eno‘s contrasting guest tones. The song ends things on a positive note, symbolic of a man who seems to have found true artistic freedom. 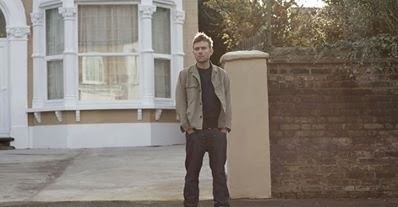 Continuing to prove that there is life beyond Britpop, he sounds liberated by finally putting his own name to an album and being able to say “this is Damon Albarn”. 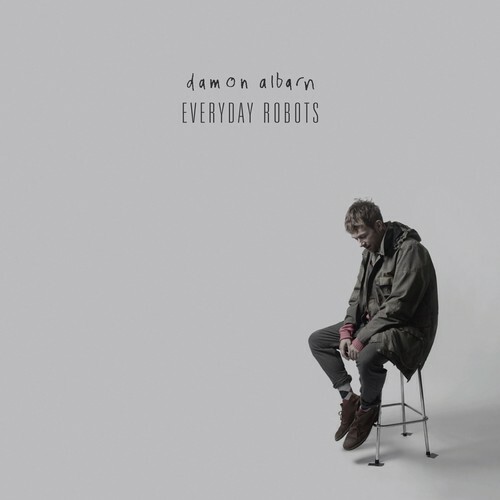 With a wistfully poetic thread running through it, ‘Everyday Robots’ is a wonderfully profound piece of work that and another record that Albarn can add to his catalogue of greats. At last he has let us into his own world, and judging by this evidence, we can only be thankful for that.